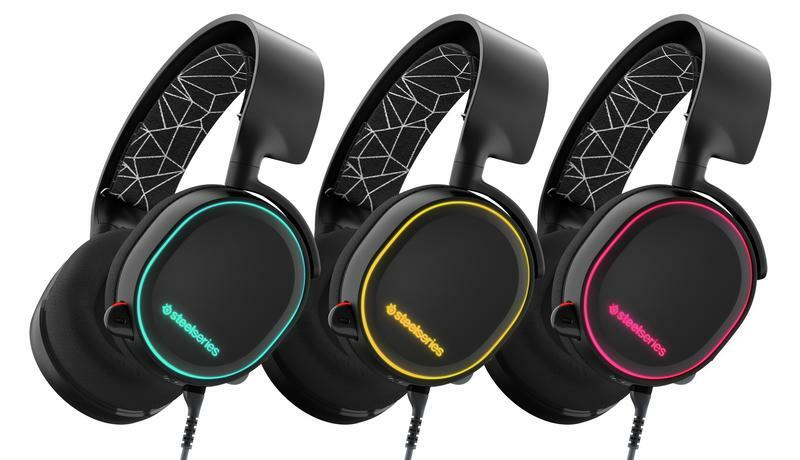 SteelSeries offered us the opportunity to review one of the newest entries in their lineup of headsets for gaming. 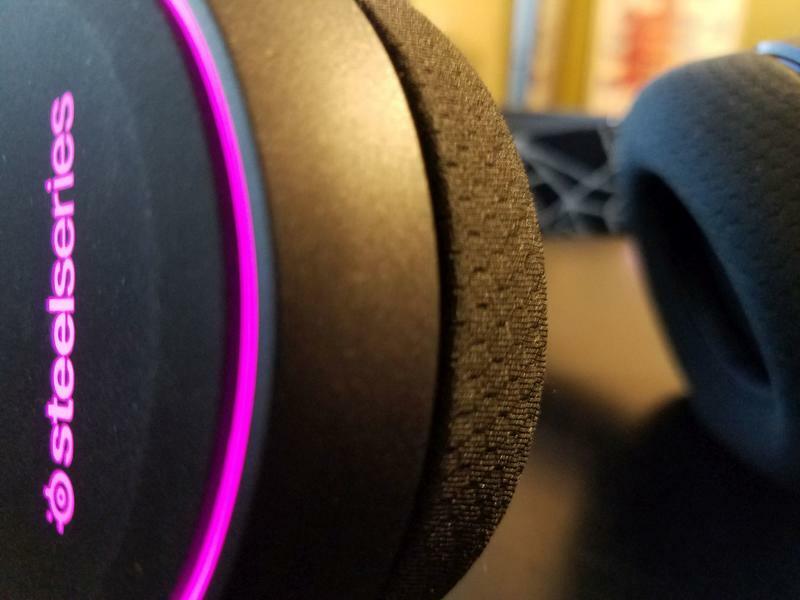 We received the Arctis 5, a device that sells for $99.99. 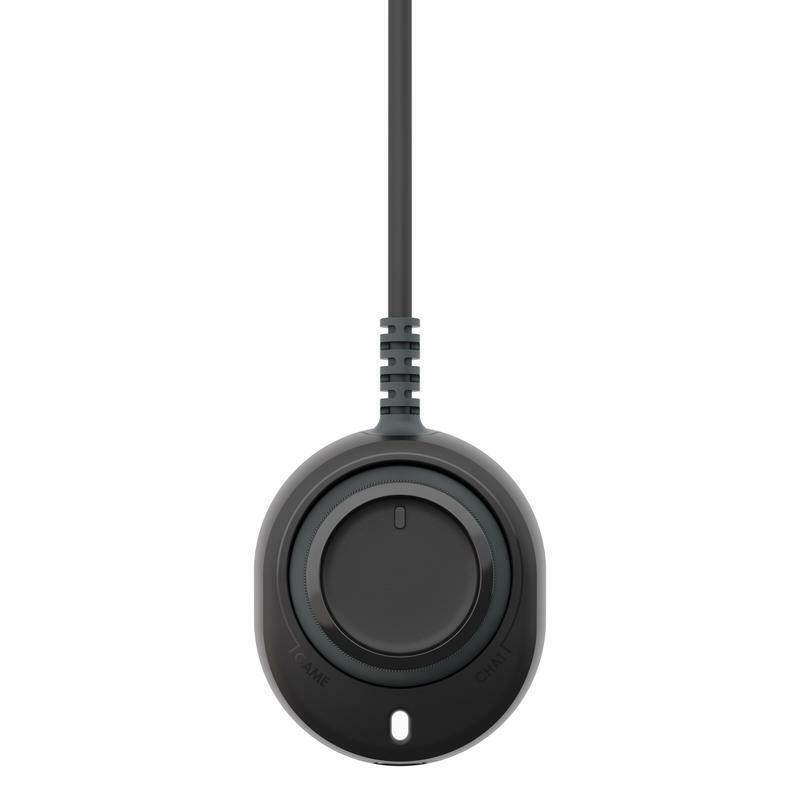 The headset works on the PC through USB or 1/8″ jack, but it also supports anything with a headset jack and will play perfectly with the Xbox One and PS4. Where headsets matter most is sound, right? 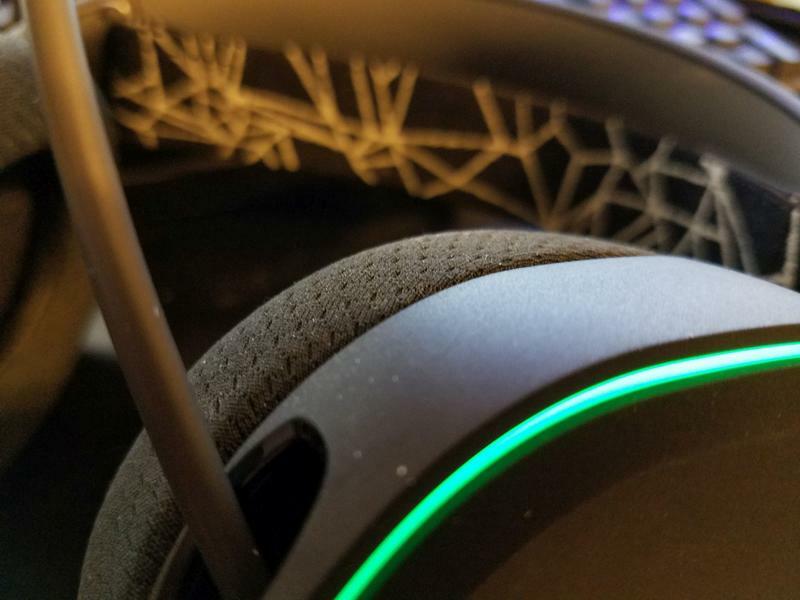 The Arctis 5 is, in my mind, a few steps beyond component. Perhaps I’m spoiled, as I broke the bank a few years back and picked up some wonderful Seinheisers. My opinions regarding headset audio have slanted towards demanding more performance ever since that purchase, so forgive me if I want more. On the whole, these headphones produce great sound. During gaming moments, you’ll be able to discern enemy location and motion thanks to the 7.1 surround. Everything is crisp and clear, though the mids and highs can get a touch staticky when things get loud. The lows are solid enough, though fidelity drains away at that side of the spectrum. 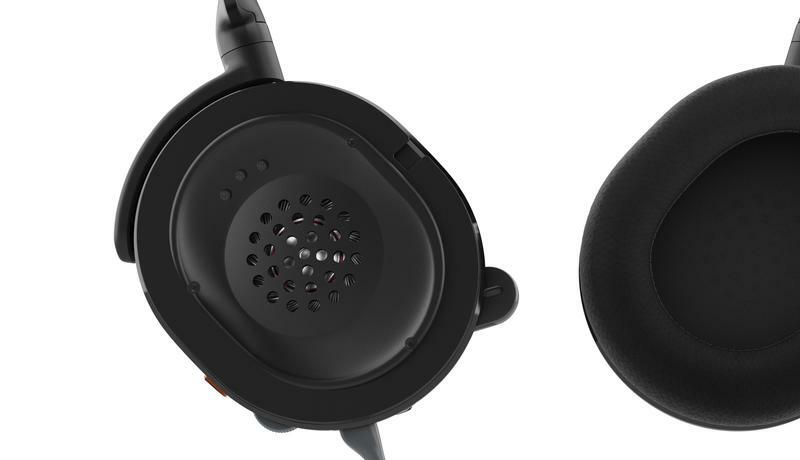 These sound like $99 headphones should sound, really. They won’t redefine the category, but they’ll perform well enough to make a buyer happy with their purchase. 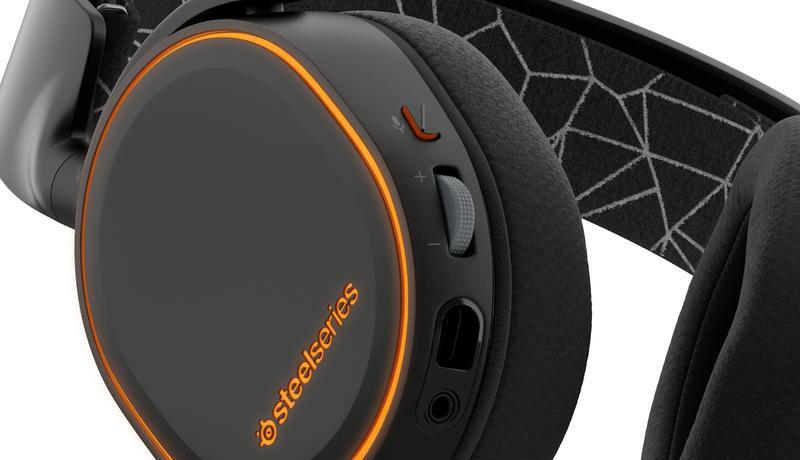 With the Arctis line, SteelSeries is introducing what they’ve labeled the ClearCast Microphone. 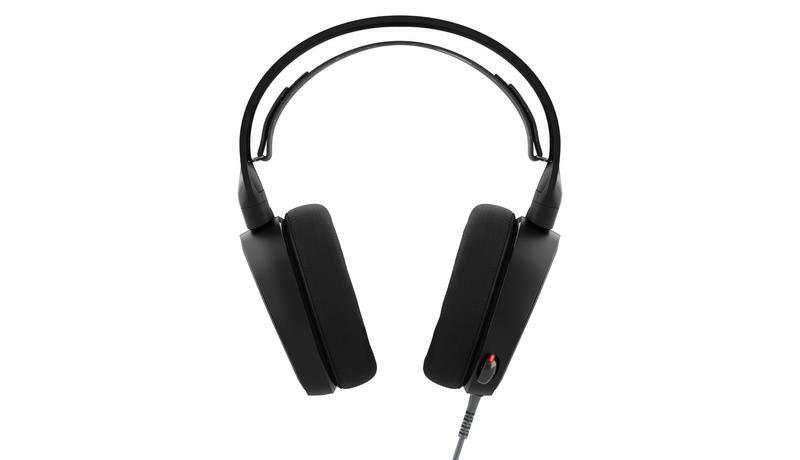 they offer that this thing features a bidirectional input that’s been re-engineered with noise-canceling and clarity in mind. It works. In noisy environments, whether in a crowd or next to a super loud machine, this thing eliminates background sounds. It was super hot here a few days while I was testing this headset. I had fans blasting over my desk throughout the day, and every time I spoke that noise was pushed aside while my voice remained. The microphone works. I recorded a quick bit of sample audio for your consideration. My voice sounds decent, though some static is present. While recording there was, coincidentally, construction happening outside. You won’t hear any of that. The microphone stays plugged in at all times as it’s a physical part of the headset. It can be pushed into the headset to get out of the way, too, which is a nice perk when you’re simply listening to tunes or taking the device away from your home. 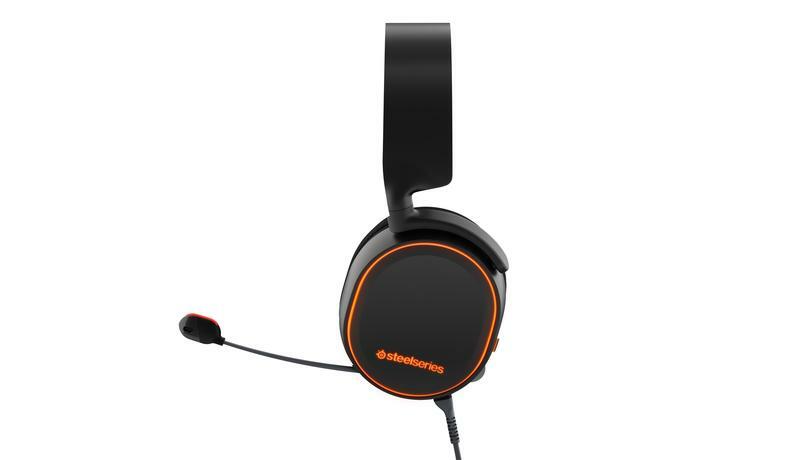 The headset also features a chat/game audio mixer that’s small and effective. 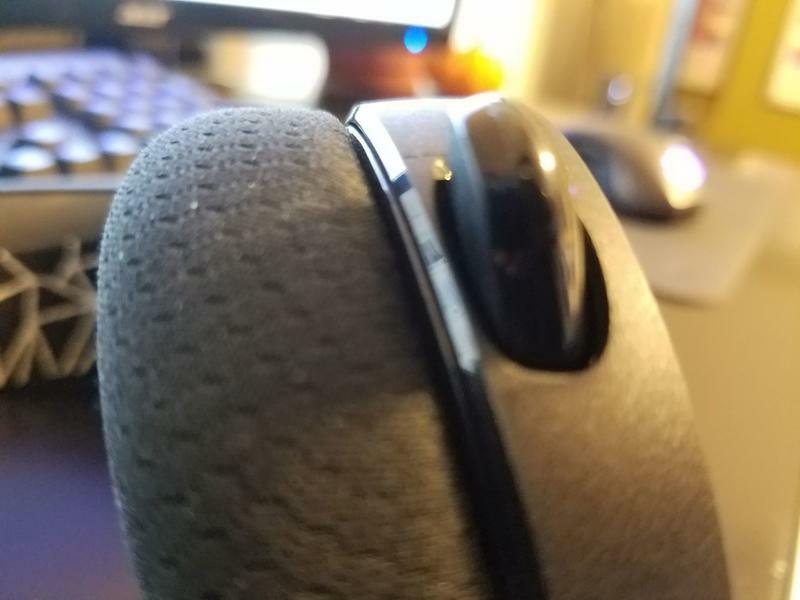 I was annoyed, however, but the fact that the pre-existing twists in the headset’s cable made the thing nearly impossible to lay flat on my desk. The flaw? I need my mic monitoring. I want it. In case you don’t know what I mean by this, the mic monitoring essentially plays what the mac hears back into your headset. It’s helpful in a few ways. For practicality, you always know that you’re being heard by the mic. You’ll also know when you’re getting too loud or speaking too quietly. It works on a subconscious level, and I’m used to its presence. In fact, I want it on all my devices and am bummed when it’s missing. 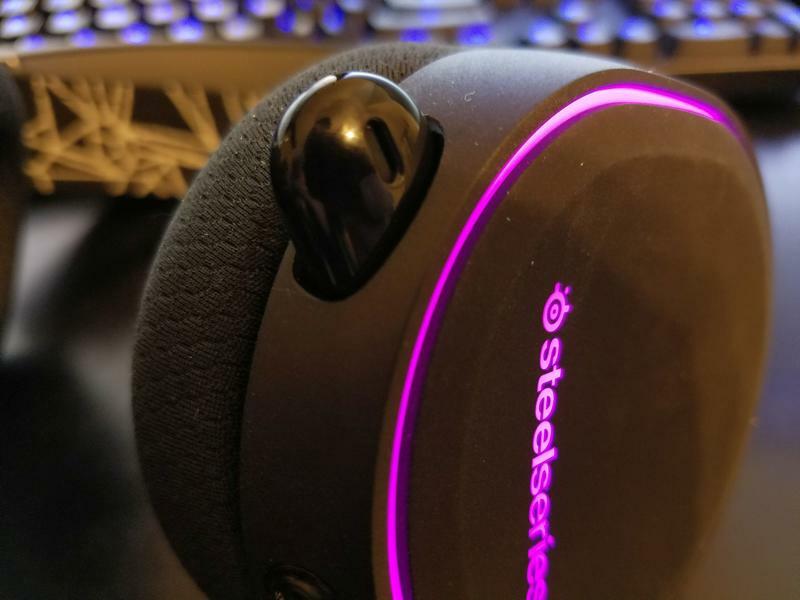 Where this headset truly shines above all other categories is comfort. 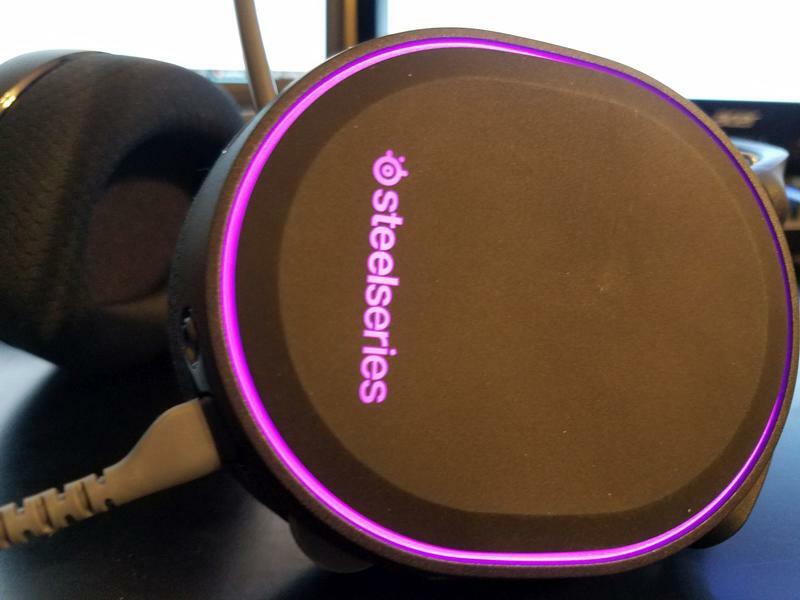 If you sit at your desk for hours on end, whether while gaming, working or both, the SteelSeries Arctis 5 is just about perfect. The build of the headset is light, but firm. 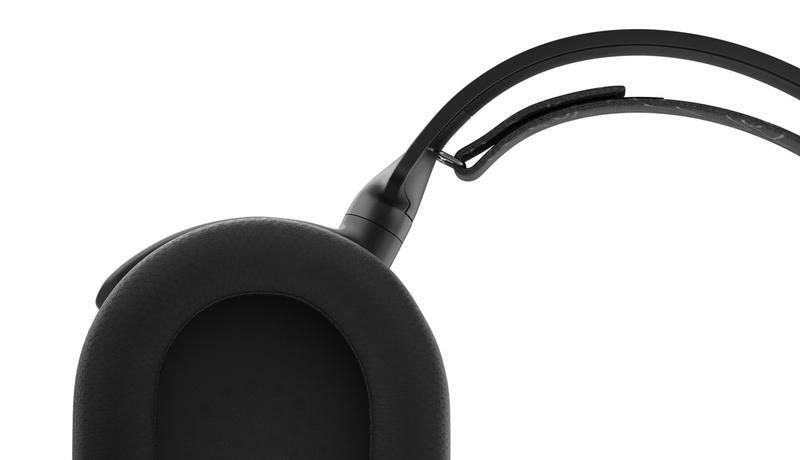 The band that rests between your head and the actual top of the piece that connects the earphones is a wonderful addition that actually keeps the hard plastic and rubber away from your head. The cups are made of a soft, breathable fabric that is tight while cushioned. The band that rests between your head and the actual top of the piece that connects the earphones is a wonderful addition that actually keeps the hard plastic and rubber away from your head. No joke, this is a ski goggle headband, and it can be adjusted. The cups are made of a soft, breathable fabric that is tight while cushioned. Some headsets cause a lot of pressure and heat when in use for long sessions. 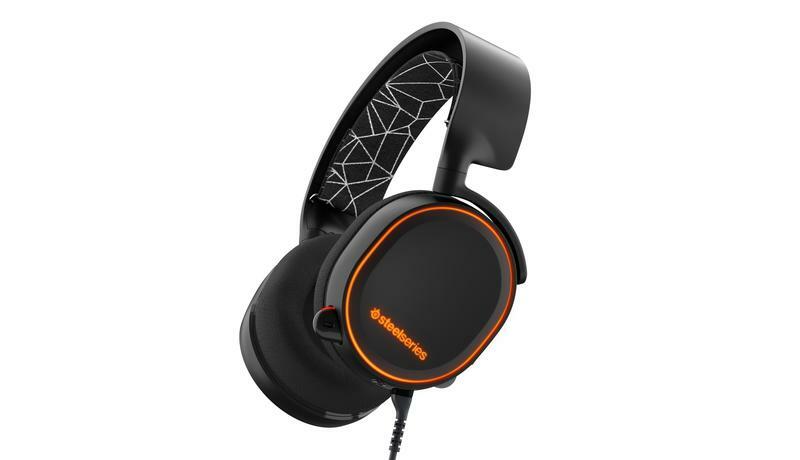 My ears didn’t really sweat like they do with other units, again demonstrating the premium comfort with the Arctis 5. If headset comfort with decent sound is your top priority for gaming and general use, the Arctis line has you covered. Sure, its microphone and sound might be a little of a miss here and there. In play, I didn’t mind it. While listening to music and comparing it to other headsets I own, like my Sennheisers or Turtle Beach’s Elite Pro, the Arctis started to show some weakness. It’s not bad, it’s just not the absolute best, despite what the marketing suggests. The Arctis 5 will sell for $99.99. At that price point, I’m willing to accept the nitpicks I’ve made throughout this review. The unit isn’t perfect, but it’s not necessarily priced to be perfect either. 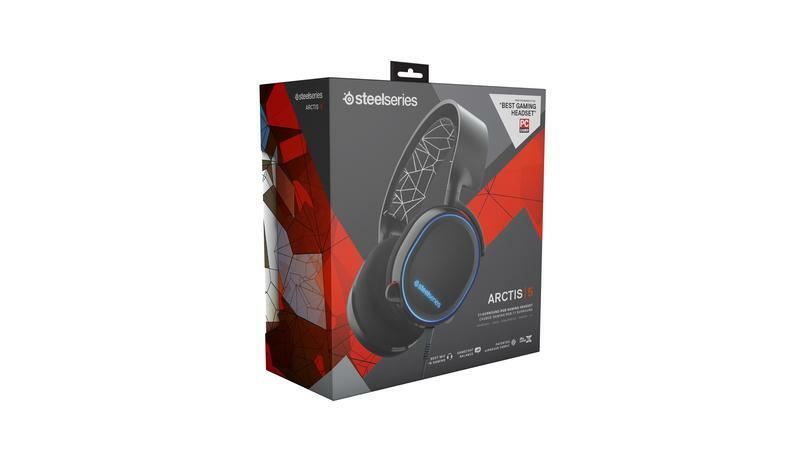 If you’re looking for a headset that you can use on a daily basis while gaming or listening to music, the Arctis 5 will do the trick at a good price.